We are engaged in the manufacturing of Solar Water Pumping System that is best suitable for remote areas. 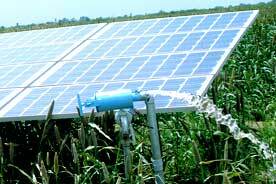 Our Solar Water Pumping System is known for its high performance and longer working life. Avail Solar Water Pumping System in different specifications and models as per the requirement.